Can Engineering Prevent Concussions in the Super Bowl? 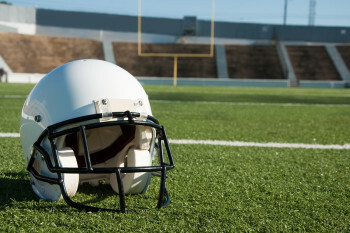 Concussions are a serious issue in sports like football, but what if they could be avoided? With the NFL’s Super Bowl 50 championship game coming up, it’s hard to ignore the head injuries involved in football. In the last few years, we’ve seen an exponential rise in players affected by concussions—but how many of those injuries can be traced to equipment? “Today, predicting with 100-percent confidence the performance of a helmet is not possible,” said Michael Bergin, a principal research scientist at Autodesk. “This is due to the nature of foams as cushioning material being stochastic, or randomly configured. So what if there was a better way? 3D printing is the new way to make just about anything. 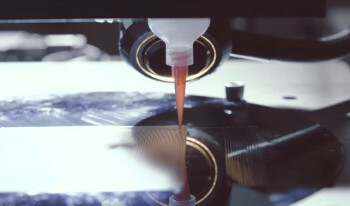 Metal 3D printing in particular has been on the rise lately and as researchers find new ways to bring it down in scale, it’s becoming a much more flexible alternative to traditional materials. An ongoing research project between the Lawrence Livermore National Laboratory (LLNL) and Autodesk Research is putting the emphasis on this process as a way to revolutionize the sports equipment industry. LLNL, which has a team of research engineers dedicated to additive manufacturing and metal 3D printing, is working with Autodesk Research to develop complex material microstructures that will dissipate energy more effectively than current helmet pads. 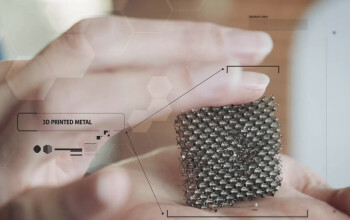 “Our effort is to look at the microstructure of material because that microstructure is effectively going to allow us to double or triple the cushioning effect of a helmet,” said Erin Bradner, senior user experience researcher at Autodesk. You’d think using 3D-printed metal to pad a helmet would make it intolerably heavy, right? The microlattices developed by the project are being designed using Project Dreamcatcher, which is Autodesk’s version of a generative design software platform. A user sets up some guideline objectives such as weight, strength and distribution of force. The software then runs through a vast number of possible designs that fit the bill. In this case, the microlattices are being designed to absorb energy from an impact, distribute this energy to reduce its force and then return to its original form. “In some sense, you could have a smart helmet in the future, something that could sense an impact and relocate that load depending upon the nature of the impact,” said Eric Duoss, a research engineer at LLNL. If helmets were capable of absorbing and distributing force from an impact, they could greatly reduce the number of serious head injuries that happen in high-impact sports like football. “They may not look from the outside all that different from today’s helmets, but the inside and their microstructure will be completely different,” said Daniel White, a research engineer at LLNL. With this type of material being used in sports helmets (and, eventually, other sporting equipment), teams like the Panthers and the Broncos would be able to play the game without worrying about dangerous concussions and other injuries. For more information on the project, check out the Lawrence Livermore National Laboratory and Autodesk Research websites.